After 1 month of using this product I can see lots of little hairs near the front of my hairline that wasn't there before, about half an inch to 1 inch in length. So I will definitely continue to use this and observe! Awesome definitely notable that my hair looks thinker and it’s encourage the growth of those annoying short bits of new hair! I’ve ordered more! I know it works beachside I put it on my eyebrows too. I have been trying to grow them back for four years or more nothing helped. Now I have lots and lots of hair growing. I am very very happy. In the past year my hair grown very thin that I started to worry. I do not know why. I always had long hair and a couple years back I cut for the first time to my shoulders. And since then I keep cuting it every year and the last time three months ago just took it upper than my shoulders. The serum smells lovely and I love using it. 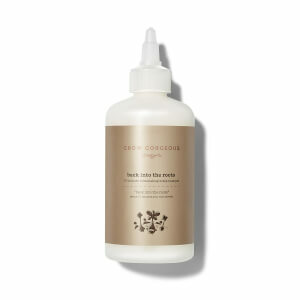 I am using it for two or three weeks along with volumising shampoo which is great as well. Still cannot see the difference. I need a magnifying glass to detect new hairs. But the whole appearance looks thicker now. I have been using this for 4 weeks along with hair vitamins and I’m starting to notice a significant difference in Hair health and volume. I’ve had fine lifeless hair postpartum and nothing has helped this until now! Already buying another before I run out! Before buying this I read all the reviews. Most said how good it was so I thought it worth a try I’m a cancer survivor that lost all her hair. The chemo has played havoc with my body and, although my hair has grown back, it’s started to fall out again. I was so depressed with the way I looked. I bought this and have used it as directed every night. I really can’t believe the difference. My hair definitely looks thicker as I can no longer see my scalp though it. I seem to be losing less hair and it doesn’t seem as brittle as it was. I can not recommend this product highly enough. Give it a try. You have nothing to lose. I saw a difference within the first week. I’m sure you will too. I cut my hair from just below my shoulders to an extremely short inverted bob which I hated straight away. I have naturally dark hair and had it bleached so many times to reach platinum and was loosing my hair due to damage. My hair is fine but I have a lot of it. The reviews were so good and I was so desperate to grow my hair back so bought a bottle and I don’t regret it. Ive only used it for a week and turned up at my mums and she commented how thick my hair looked, I see my mum nearly every day so for her to notice it must have been a big difference. I’m looking forward to seeing the results after using the bottle! Being born with thin hair it's always been a pain in the backside, and at 25 my hair is extremely damaged from heat and dyes. However just days after I noticed a difference. 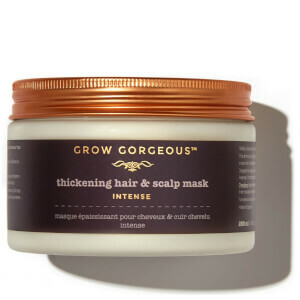 And three weeks on, this product will always be The best for hair growth and nutrients. It's thicker, shinier and overall so much healthier. 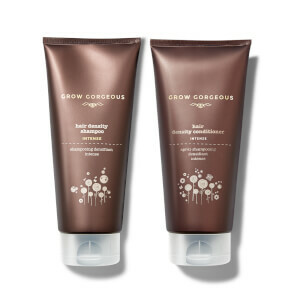 As my hair is naturally greasy, this doesn't leave and unwanted resedue and I now only have to wash my hair twice to three times a week depending on the heat coursed by the weather. It smells fantastic and for the miracles it's produces, the price is a bargain. Honestly, ditch all other remedies and buy this product. 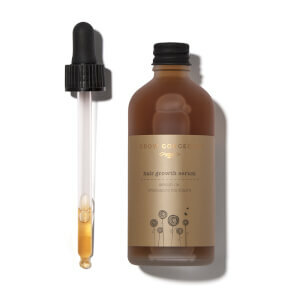 I love this ..i have fine hair and since turning 50 i noticed more hair falling out after washing..ive used this religiously for 3 weeks now and ive definatelly noticed i have less hair loss and after washing my hair seems denser...im ordering my second bottle . Love it and its easily absorbed and smells gorgeous .